Black flexfit. No ponytail hole. Can be reverse worn. Blue embroidered Wheezin' Geezer silhouette logo on front and blue embroidered Wheezin' Geezer Mustachio logo on back. 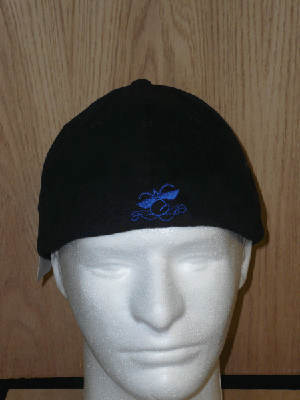 Ballcaps embroidered in the USA.